Former Tennessee Titans football legends will soon have the opportunity to show their skills on the basketball court. 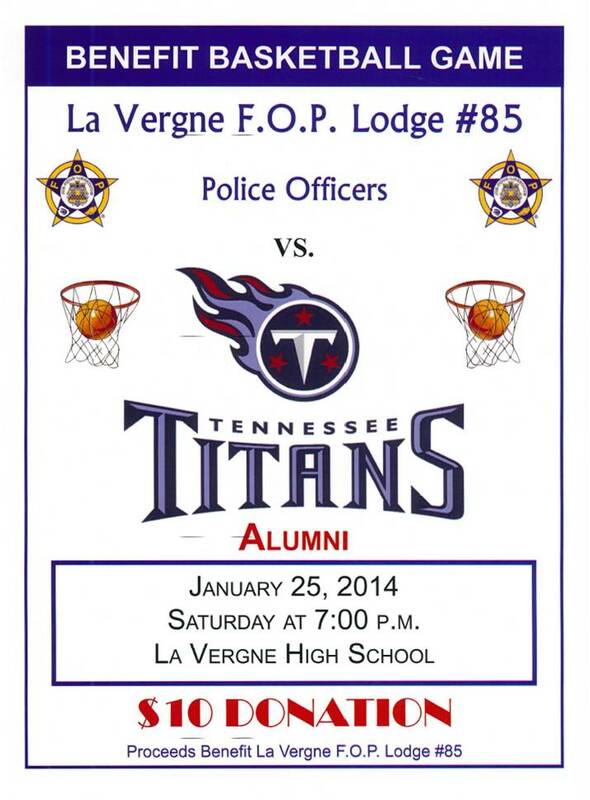 On Saturday, January 25, Titans alumni will face off against La Vergne police officers in a benefit basketball game. 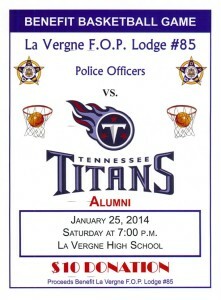 The game, hosted by La Vergne Fraternal Order of Police Lodge #85, is scheduled at 7:00 p.m. at La Vergne High School. Tickets are $10 and are available at the police department, but additional donations will also be accepted. The police say you can bring your Titans treasures for autographs! Tickets are $10 and can be purchased at the door or at the police department until 5:00 p.m. tonight. Concessions will be open so if you have a hankering for a hotdog or nachos, come on out to the high school. Proceeds will go to the F.O.P. which helps to sponsor Club Knockout, Christmas for Kids & Seniors, and attendance at National Police Week (both the gathering and as escorts for the families of officers lost in the line of duty).